After all this time George Soros still can pull off a good lie and cover up his tracks. Now Soros says he's not worried that hedge funds will singlehandedly crush the Euro, and neither should you be. Of course mainstream media will believe it because in their minds (and pocketbooks) George Soros' opinion on the currency is valuable because he's a billionaire investor, but mainly because he made the most famous currency bet in the world: shorting the British pound in 1992. 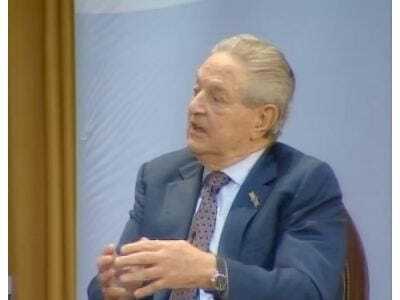 It's just a matter of time before George Soros will be primed to make his move to create a one world government where he can push his choice of candidate into the position of King and he can rule from behind the scenes. If you want to read the rest of the original article there is a link below.